The Speedo Atami Slide mens swimming sandals are the new style Speedo footwear. They feature the 3D moulded upper for ultimate fit. The sandals also incorporate drainage holes which ensure superior underfoot comfort, whereas the hydro disperse system guarantees improved grip on wet surfaces. The sandals are made from lightweight, chlorine-resistant materials (PVC free). 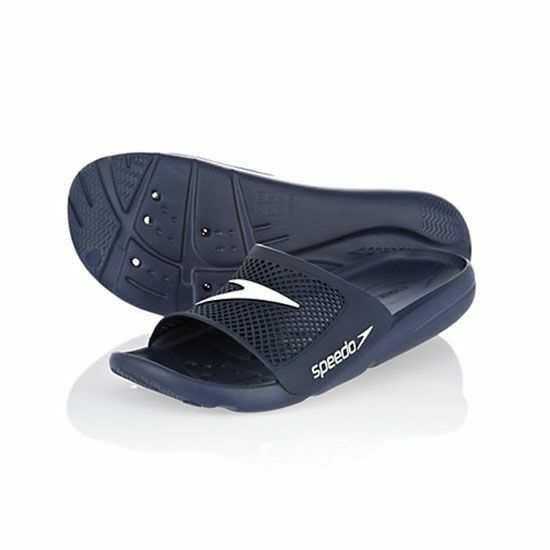 for submitting product review about Speedo Atami Slide Mens Swimming Sandals.